Control4 Corporation of Salt Lake City claims it is revolutionizing how people learn about, experience, and interact with Control4 smart home solutions with the opening of 140 Control4 Certified Showrooms at Control4 Authorized Dealer locations across the U.S., Canada, UK, China, and Australia. Consumers in cities around the world will be able to find a Certified Showroom location and register to attend a local #C4Yourself Day event held on May 31st. If you sign up on www.control4.com/dealer_locator, you’ll get a chance to witness how smart home automation can benefit you, with personalized demonstrations putting you in the ‘hands-on’ hotseat. The Control4 Certified Showroom program itself is designed to direct homeowners, architects, and designers in the market for smart home solutions to a location where they can experience Control4 in an ideal showroom environment and find the right installation partner for their needs and lifestyle. Control4 Certified Showrooms are a powerful way of engaging consumers through personalized and interactive home automation experiences. Each independent Control4 Certified Showroom Dealer has met a series of elevated standards and are well-versed in creating inspiring demonstrations of Control4 smart home experiences. Control4 Certified Showroom Dealers are experts in “WOW-ing” homeowners through interactive storytelling, visually-stunning displays, and hands-on demonstrations, and they have a deep understanding of how to properly convey the real-life benefits of living in a truly automated, personalized Control4 smart home. Our independent dealers will open Control4 Certified Showrooms in more than 25 markets around the world beginning today and all reflect a significant investment by these dealers who are passionate about Control4 brands and delivering best-in-class smart home experiences to homeowners. 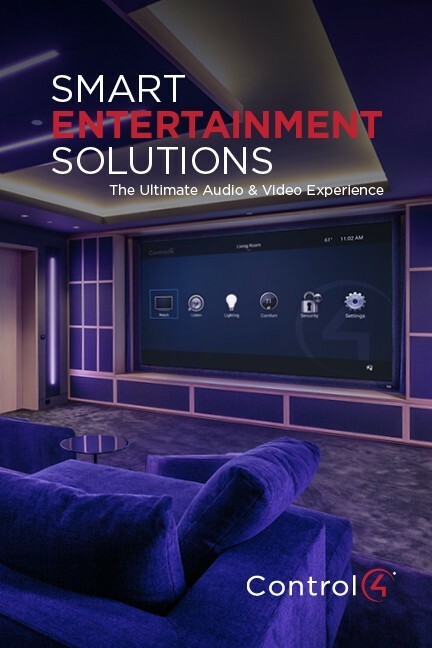 Each Certified Showroom showcases the Control4 magic through demonstrations that include family room entertainment, multi-room audio and video, smart lighting, safety and security (“peace-of-mind”), comfort, voice control and intelligent home networking. Control4 is inviting consumers and building/design professionals worldwide to #C4Yourself Day on Thursday May 31, 2018. This is a ‘global open house event,’ according to the company, that will take place at all the new Control4 Certified Showrooms. Control4 says that consumers are invited to get more information and RSVP to local events by searching for the nearest Certified Showroom on www.control4.com/dealer_locator.